Looking for a hosting provider offering the LiteSpeed platform? 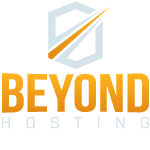 Search our hosting partners by level of membership, geological region, type of services or specialty. Want to join? Check out the details of our Partner Program. Need someone to work closely with you to bring your specialized project to fruition? Look to these Solution Partners to provide innovative, customized, whole solutions featuring LiteSpeed. These experienced technology service-based companies assist in promoting our products and solutions to new and potential users. Collaborating with innovative companies from multiple disciplines in technology and business functions, enables us to deliver innovative, cost conscious, streamlined and industry competitive solutions to our customers.